ISN will take you on a trip to the wonderful city of Maastricht! 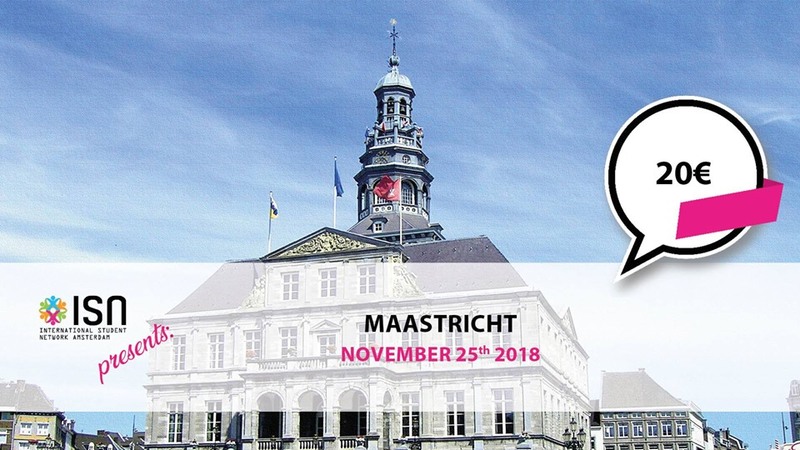 Maastricht is for sure one of the top travel destinations in the Netherlands, but it’s not properly part of the main touristic routes. The city of Maastricht is located in Limburg, the southernmost province of the Netherlands some 200km from Amsterdam. Lively and energetic, Maastricht has Roman history, a maze of tunnel-caves and historical buildings aplenty. The people are speaking a dialect (‘Mestreechs’). No visit to the Netherlands is complete without a visit! Included in the price is the bus trip, lunch and an activity. We will meet at 8.45 at Powerzone close to Central Station – the bus will leave at 9 so make sure you’re on time. Do you have any questions regarding this activity? Send an e-mail to activities@isn-amsterdam.nl. Stay updated by clicking attending on facebook and sign up for our newsletter!